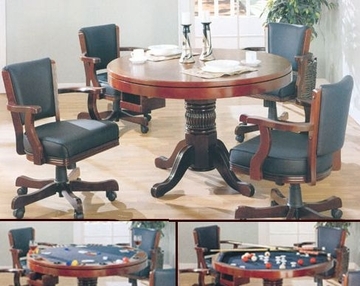 Three-in-one dining table: poker table or bumter pool table. Table: 47 1/2" Dia.x 30"H.
Arm chair: 25"W x 23"D x 33"H.
Pool sticks and balls included in set. Upholstered arm chair with casters and gas lift.